Presented in collaboration with the Istituto Luce Cinecittà in Rome, the MoMA is hosting a major film retrospective of the late Dino Risi (1916—2008) from December 14—January 6. The event opened with the New York premiere of the new 4K restoration of The Easy Life (1962). 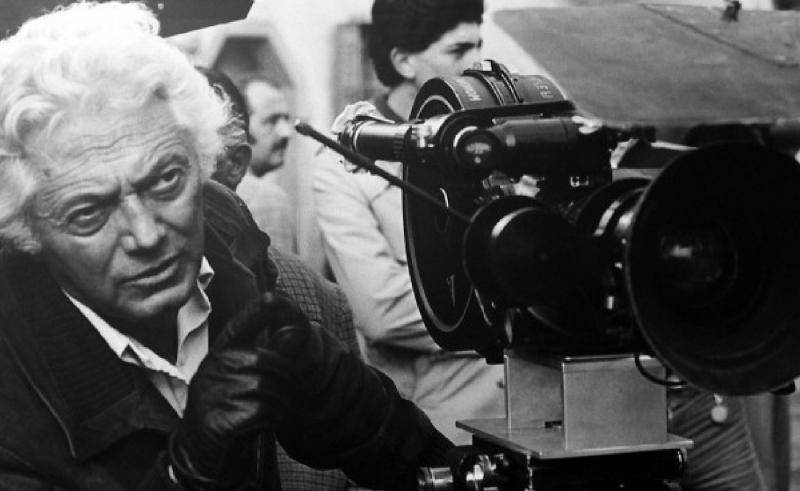 Italian filmmaker Dino Risi achieved tremendous success during the Italian economic miracle of the 1950s and ‘60s with his searing satires. Chiefly centered on the newfound prosperity of his countrymen, his films hint at Italy’s boastful sense of confidence as a result of the unforeseen flourishing economy following World War II. Populated by farcical and grotesque overtones, he lampoons the politicians, playboys, and priests of his time, helping to establish the style known as Commedia all’Italiana. The youngest of three boys, Risi was born in 1916 into an affluent family. His father was a distinguished Milanese physician at the Teatro alla Scala, where Benito Mussolini was one of his patients. Though Risi intended to follow in his father’s footsteps by pursuing a medical degree, a chance meeting with director Alberto Lattuada led to a job as an assistant on the historical drama Piccolo Mondo Antico (1941). And so Risi found a new vocation: cinema. Being anti-fascist, his family decided to escape Mussolini’s reign. They took refuge in Geneva, Switzerland, where Risi took a film course with exiled French director Jacques Feyder. Once back in Milan, he earned a degree in psychiatry to please his father, but in his spare time he made documentary shorts that attracted critical attention. Shortly after in 1951, he directed his first feature, Vacanze col Gangster (Vacation with a Gangster). Throughout his career, he directed more than 80 feature movies, documentaries, and television shows, many of which are among the most widely seen comedies of the postwar era. 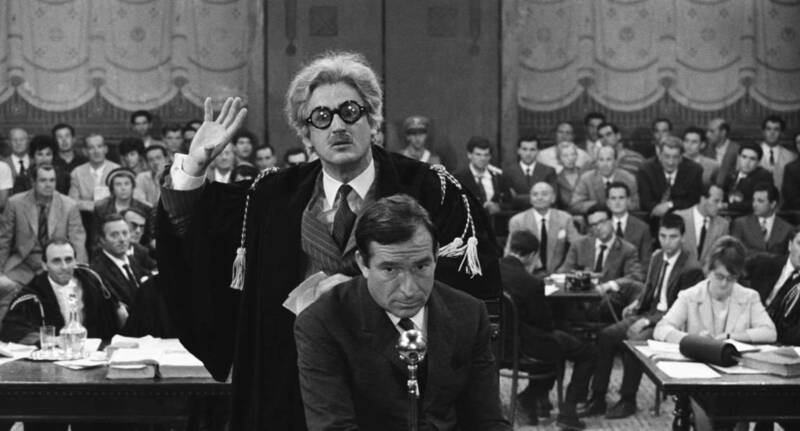 They feature some of the greatest actors and actresses of the time, including Alberto Sordi, Vittorio Gassman, Nino Manfredi, Ugo Tognazzi, and Sophia Loren. Though he was snubbed by leftist intellectuals for not partaking in the political battles of the ‘50s, by incorporating elements of sentimentality and comedy in his films he earned the affection of an Italian public eager to put war trauma in the past. In 2002, Risi received the Golden Lion for lifetime achievement at the Venice Film Festival. He passed away six years later at 91 years old in Rome, survived by his two sons, Marco and Claudio, both film directors. The retrospective features newly struck 35mm prints of 15 Risi films, including Belle ma povere (1957), The Widower (1959), and Scent of a Woman (1974). The MoMA is also premiering recently rediscovered documentaries that he literally made in the ashes of WWII, which portray Neorealist portraits of Lombardic and Neapolitan street life and culture between 1946 and 1950. Underappreciated gems, such as Love and Larceny (1960), March on Rome (1962), The Thursday (1964), and In the Name of the Italian People (1971), are also on display. For a detailed schedule and to reserve tickets, click here.